It is nearly impossible to imagine Tesla Inc. without Elon Musk, its chairman, CEO, largest shareholder and public face. But a U.S. Securities and Exchange Commission lawsuit has raised questions about the executive’s future at the clean-energy company, sending shares spiraling. The agency accuses Musk, 47, of misleading investors with his infamous Aug. 7 tweet about taking Tesla private and seeks to ban him from serving as a director or officer. The shares slumped as much as 13% to $268.10 on Sept. 28, the biggest intraday drop in more than three years. That possibility, however remote, casts a pall on the final days of a rocky quarter and is likely to renew concerns about Tesla’s lack of an operating chief or other clear No. 2. The weekend of Sept. 29-30 was supposed to be for celebratory milestones, with thousands of Model 3 sedans finally making their way to customers at delivery centers across the country as the company makes a final push to achieve sustainable profits. Instead, drama surrounding Musk once again is taking center stage. “If Elon Musk resigns or is not the CEO, Tesla is a fundamentally different company that is less attractive to us,” said Ross Gerber, CEO of Gerber Kawasaki in Santa Monica, Calif., which holds Tesla stock. Aside from the drama surrounding Musk’s tweet saying Tesla may go private — and his decision less than three weeks later to stay public — the company has been grappling with the departure of several top executives, most recently its vice presidents of global supply chain management and worldwide finance. The Justice Department also has opened a fraud investigation. Tesla recently has emerged from months of what Musk called “production hell” and now finds itself in what he has said is “delivery logistics hell.” The company is in a race to get its key Model 3 vehicles to customers by the end of the third quarter, which likely will lead to “huge” sales figures just as some investors flee with the SEC suit, Gerber said. “Tesla is going to blow the sales numbers out of the water, but Elon’s stress and meltdowns over these past months have had a real impact on the company,” he said. Musk was uncharacteristically silent on Twitter on Sept. 27 but said in an e-mail statement that “this unjustified action by the SEC leaves me deeply saddened and disappointed.” Tesla’s board, which includes Musk’s brother Kimbal Musk, is closely aligned with the CEO. The company itself wasn’t targeted in the lawsuit. Earlier this year, shareholders rejected a proposal to split Musk’s role as chairman and CEO and awarded him an unprecedented compensation package that paves the way for him to stay at the company. Tesla makes the Model S sedan, Model X SUV and the Model 3 at its lone auto plant in Fremont, Calif.. The company has huge ambitions to disrupt not just the auto industry but the energy markets by selling large batteries to utilities. 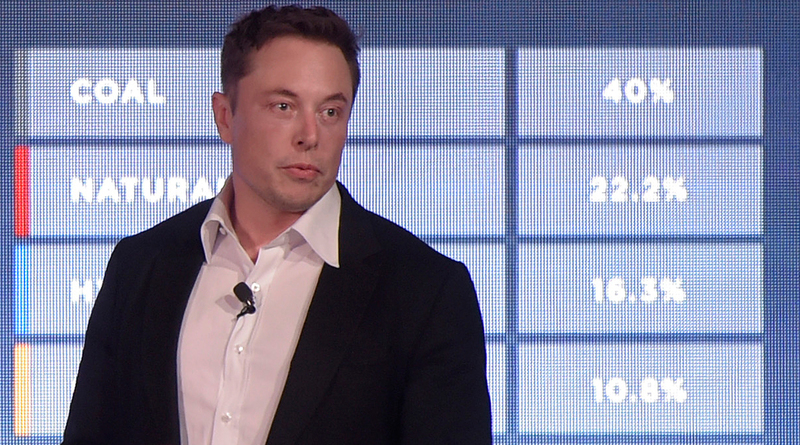 Musk has a laundry list of big, capital-intensive projects on his to-do list: construct a factory in China, build a semi-truck and Model Y crossover vehicle, deploy self-driving technology and finish developing a solar roof product. Tesla’s lofty market valuation — $52 billion at the close Sept. 27 — hinges on the expectation that Musk will deliver on those goals, said Maryann Keller, an independent auto industry consultant who used to be on the former Dollar Thrifty Automotive Group board. The company also had more than $10 billion of debt but only $2.2 billion in cash as of the end of the second quarter. Musk traditionally has had little trouble raising money on Wall Street. “Without Elon, Tesla would be a debt-laden automaker that’s burning a ton of cash,” said David Whiston, an analyst with Morningstar Inc. in Chicago.